B-127 is a film that is centered on one of the most beloved Transformers. Most people love Optimus Prime and a few “special” people love Megatron, however, B-127 is cooler than them both without question. B-127…you know whom that is, right? 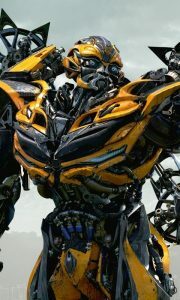 Bumblebee formerly known B-127 was sent to Earth under the order of Optimus Prime as its protector. Bumblebee landed on Earth and immediately into battle as well. A Decepticon pounced on Bumblebee and robbed him of his voice communications module. One additional hardship befalls Bumblebee as his memory is corrupted and amnesia weighs him down to an infant child. Plot sound familiar? Bumblebee‘s narrative flows similarly to The Iron Giant in which a machine finds his heart and freedom to choose to be a killing machine or much more, a protector. Charlie (Hailee Steinfeld) Complete with the dual plot path for a young socially awkward loner. That being said, these similarities do not stop the film from maintaining its edge and alluring charm. The acting, on the other hand, leaves something to be desired; “Straight and to the Point” is my tagline for a reason. Sector 7 Agent Burns (John Cena) is boring, unimposing, and non-threatening. In the WWE ring, Cena is formidable. However, thus far acting has not been his bailiwick, too shallow and one-dimensional. In my humble opinion, acting requires stepping outside your normal and making the audience believe you did. I’ve seen Cena in a few movies now The Marine, Daddy’s Home 2 as well as seen him in the WWE ring so I have seen. On the flipside, Steinfeld shows potential, from Pitch Perfect 2 and Pitch Perfect 3 to Barely Lethal and now Bumblebee, though a little typecast for now her performances have some depth to them. A quirky bit of comic relief is Memo (Jorge Lendeborg Jr.), Charlie’s lovesick neighbor, whose acting ability is fairly green yet garnered a few good laughs. Hopefully, his skill will elevate in time. 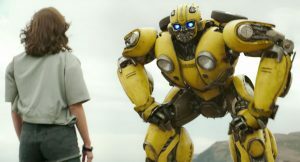 The saving joy found within this one-hour and fifty-three-minute fight scene, mixed with endearing self-discovery and heart-warming family bonds, is the directorial skill with which Travis Knight produced Bumblebee’s origin story. 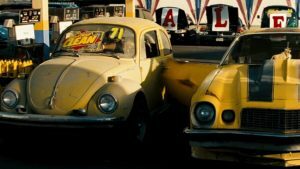 Bumblebee is beautifully shot from multiple angles, pans, tilts, etc. 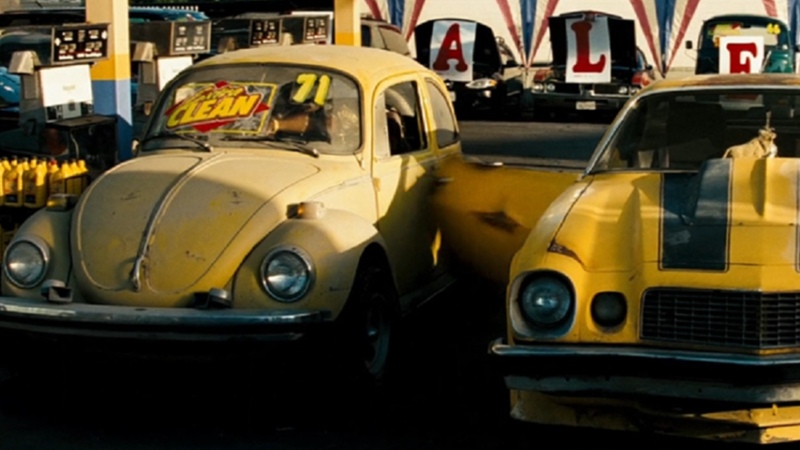 He captured Bumblebee’s evolution from a mindless amnesiac child to the powerhouse viewers have witnessed win many battles throughout the franchise. As Bay started in music videos and Knight I think Michael Bay might be impressed. In fact, as I watched Bumblebee certain sequences brought Bay to my mind. Knight, initially an animator, received two Oscar nominations for his and his team’s work on Kubo and the Two Strings and The Boxtrolls. Therefore it is no surprise that the action sequences are clear and detailed to the nth. Viewers want to see how a robot made another robot lose its limb, so Knight’s decision was on point. The directing skill of Knight is quite breathtaking except in the scenes without action. Long pauses carried on for a mind-numbing duration when the moment of reflection, punchlines, or discovery had passed. 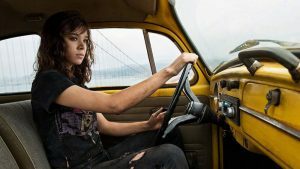 Overall, Bumblebee is a solid action film with heart. Despite my heavy-handed critique, it is enjoyable and surprising in both composition and delivery. Additionally, the soundtrack and sound effects were masterfully chosen for an 80s film; loved the references to 80s iconic features like The Breakfast Club, The Legend of Billy Jean, and Weird Science. It is refreshing to see a vulnerable and childlike Bumblebee compared to our last look at the soldier on steroids version in Transformers: The Last Knight (as shown below). This entry was posted on Saturday, December 22nd, 2018 at 12:11 pm	and is filed under Film, News. You can follow any responses to this entry through the RSS 2.0 feed. You can skip to the end and leave a response. Pinging is currently not allowed.